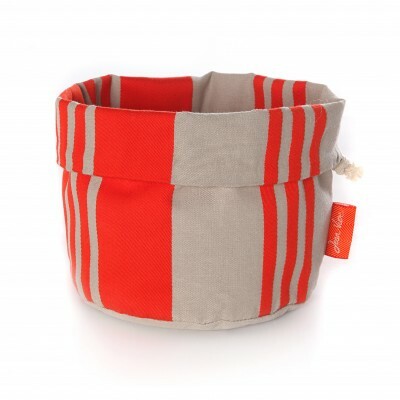 Discover the range of Jean-Vier kitchen linen with collections of 100% cotton bread baskets. When dressing a stylish table, the tablecloth and tableware are two main considerations. You can add the finishing touches with some original and practical items such as a decorative jug, salt and pepper mills or even a bread basket. These fashionable and practical accessories will enhance your table decoration and you’ll love the Jean-Vier range of bread baskets, all fully coordinated with the kitchen essentials : dish towel, apron, oven glove and pot holder. Highly versatile, the bread basket is also a stylish way to serve fruit, cakes and biscuits, and can even be used as a trinket tray. Choose Jean-Vier for top quality Basque linen.